Thyro-A is a plug-and-play digital thyristor controller with the following operating modes: full-wave cycle principle (TAKT), phase-control principle (VAR), and Quick-Takt-Mode (QTM, for 1 phase devices). 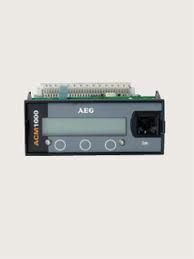 Product features include an integrated semiconductor fuse, USB interface, bus interface, and optional power regulation, as well as many monitoring functions and a mains load optimizing features. It can be operated as a stand-alone system or in combination with process controls, PLC, or automation systems via various bus interfaces (PROFIBUS, PROFINET, CANopen, DeviceNet, Modbus RTU, Modbus TCP, and EtherNet/IP).